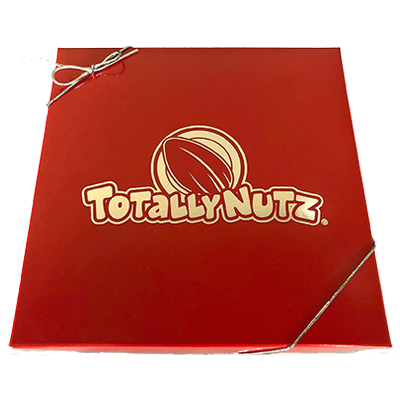 Cinnamon glazed cashews, roasted and salted mixed nuts, and a premium hot and spicy mix, and roasted and salted cashews in our beautiful red Totally Nutz signature gift box. This box is perfect for any gift giving occasion. All gift boxes are roasted fresh and sealed in the box for maximum freshness.